After explorating different concepts to measure stress levels and mapping a model of stress perception and management a product-service proposition was chosen. The product is a device that is able to continuously and reliably measure a person's stress level. The hardware is connected to a mobile software service, which provides an holistic overview and grip on personal stress. 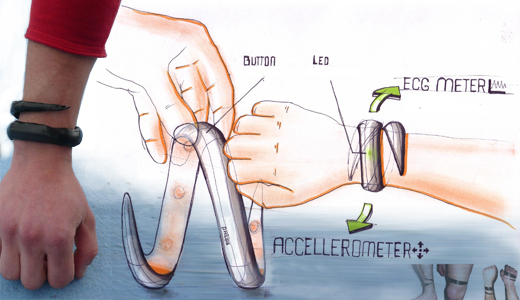 Integral Design Project for Philips, 2010.